One of the premier acreage estates in all of Colorado. 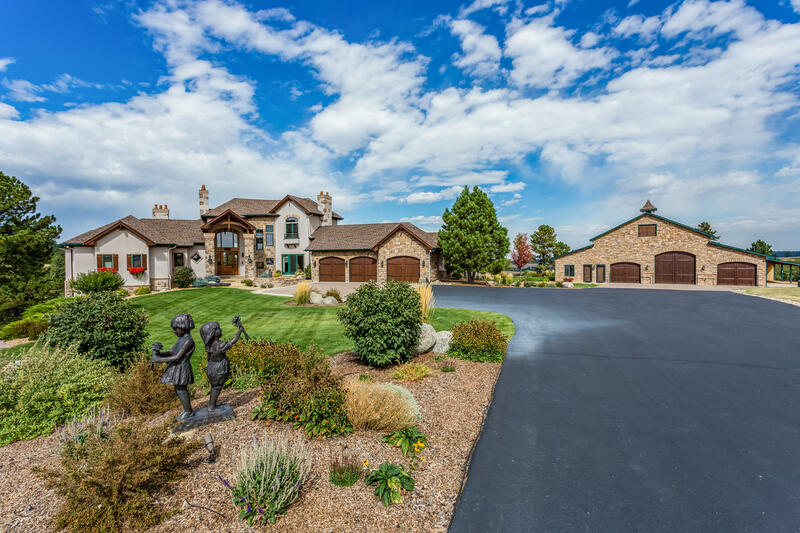 This magnificent 35 acre equestrian/car collector property is located in the Meadows at Castlewood in Franktown, Colorado, just south of Parker. From the moment you enter through the custom stone gate, you feel as if you've entered a wonderful mountain resort. The view of the home, manicured grounds and distant mountains will take your breath away. Offered at $2,650,000, this property is for the most demanding and discreet home buyer. Situated on some of the most gorgeous acres on the Front Range, it screams "majestic". NOTE: If you would like to go straight to the MLS Listing, simply scroll to the bottom of this page. Let's start with the car barn which perfectly matches the main home. This is actually a car collector barn which can comfortably showcase 9 cars. In addition to the car barn, there is a 2 bedroom, 1 bath, living and full kitchen apartment for the caretakers and a customized office with wet bar that sits directly above the cars. The office is arranged with a glass window so that you can look out over your collection of fine autos. If collecting cars is not your thing, the car barn could easily be converted to a horse barn. All that is missing on the east side of the building are the stall walls. And, of couse, there is a full size riding arena and fenced pasture. Car collector, horse enthusiast or both. This place has it all. On the outside of the barn is extra covered parking and a covered three stall horseAfter you enter through the gate you will drive down a fully asphalt paved driveway to the decorative pavers in front of both garages. The professionally landscaped grounds surrounding the home and barn have been impeccably maintained with state of the art sprinkler systems and computerized lighting system. It's like being in a park. shed with water and electricity. After you enter through the gate you will drive down a fully asphalt paved driveway to the decorative pavers in front of both garages. The professionally landscaped grounds surrounding the home and barn have been impeccably maintained with state of the art sprinkler systems and computerized lighting system. It's like being in a park. The views from the property are beyond description. The home sits up high, looking out over a deep canyon, covered with ponderosa pine and douglas fir. In the distance, you will see Castlewood State Park and the majestic Rocky Mountains. Simply breathtaking. In the early morning, deer and elk often graze near the edge of the home. Walking up to the front door, you know that you're about to be amazed at what's inside. Upon entering the home, you enter the great room and are immediately aware of the magnificence of the home. The soaring vaulted ceiling is grandly accented by impressive wood beam trusses. The flooring is wide plank distressed hickory. The custom wrought iron staircase leading to the second floor and the basement is a work of art. A wall mounted water feature helps create a feeling of peacefulness in the great room. Solar shades in staircase and great room have timers to automatically open and close according to the sunlight. Radiant floor heating in the main floor level and finished basement. This kitchen is almost too beautiful to cook in. Talk about the "wow factor". It's here. The granite counter tops. OMG. The perimeter counter tops are leathered granite. The "show stopper" is the two kitchen islands. Both are topped with polished granite "Centaurus" double thickness. Its richness is indescribable. The custom cabinets are a painted and glazed distressed knotty alder with LED under cabinet lighting. Induction range, oven, warming drawer and microwave are Wolf. It has a custom hammered stainless steel farm sink and vegetable prep sink. Refrigerator is Sub-Zero and dishwasher is Asko. All top end appliances. The master bedroom and bath will amaze you. Of course, there is a fireplace. The cove ceiling is beautifully lit with subtle LED lighting. The security system, the theater downstairs, the fireplaces, all lighting (inside the home and outside), music and much more can be operated from the controls next to the bed. By the way, all of these controls can be incorporated into your smart phone, also. Walk out the French doors to a covered and enclosed patio to enjoy the breathtaking views to the south and west of the home. The bathroom is exquisite with a 2 person custom tiled steam shower. All of the counter tops are of Onyx. And, finally, enjoy the large custom closet with ladder and rail system and movable island. Your children or guests will enjoy the upstairs bedrooms. Both are extra large. The one on the west side of the home actually has a "Juliet balcony" with room to sit and take in the views of the canyon and mountains. Let's go downstairs, which includes a theater room, custom bar, a family room, a full size exercise room and an awesome guest suite with bedroom and bath. The media center was put together at a cost of $45,000, which includes a $10,000 acoustical ceiling. The bar, just outside the theater has granite counter tops, beer and wine refrigerator, designer bar faucet and soft close cabinets and drawers. The gym area includes mirrored wall, built in desk with file drawers, a chin up bar and more. Flooring in the basement is stained concrete with radiant heat. Your guests will also enjoy the beautiful one bedroom and bath guest suite. The storage room includes a built in safe, built in storage and controls for the beautiful water feature in the great room. Also, in the storage room is an $8500 heavy duty surge protector, state of the art water filter system and munchkin system that controls the radiant heat throughout the home. And, the fully customizable $100,000 Savant system that controls electronic systems (shades, cameras, lights, etc.) in and outside the home. It's amazing! Let's go outside and check out the manicured grounds, acres of gorgeous property and views. The landscaping has been meticulously thought out and implemented to frame this majestic property. No details have been left out. This property sits on the edge of a tree covered canyon with expansive views of the front range and the Rocky Mountains. To view all listing details go to /featured-listings. 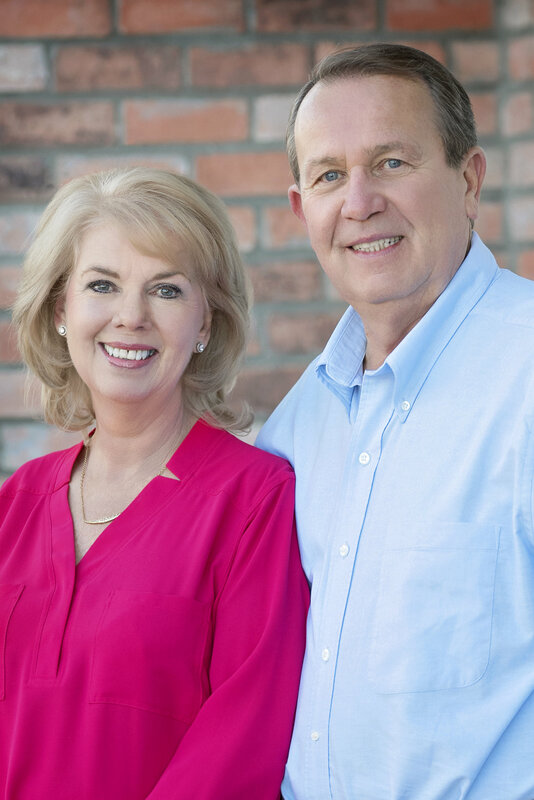 For more information call Cheryl Bustin at 303.981.7339 or Bob Bustin at 720.220.5058.